The widespread use of plastic presents an interesting dilemma. A ubiquitous product, on the one hand it is utilised universally, across communities and industries, in electronic products and appliances, packaging, furniture, aviation, the automotive sector, machinery, and even life-saving products in healthcare amongst various other diverse sectors. On the other hand, it is single-handedly responsible for the rapid deterioration of our environment, water bodies, soil, and natural landscape. While plastic is immensely useful in certain industries, it is equally wasteful and damaging in others. 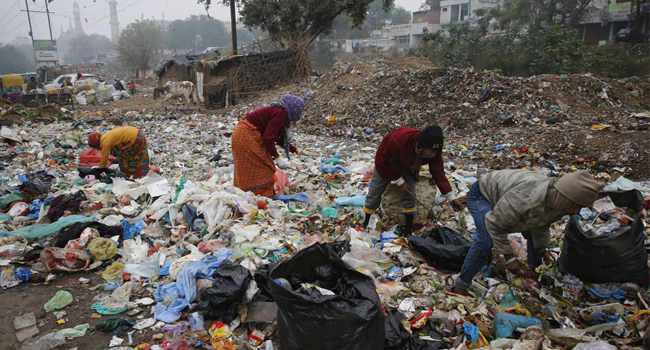 Most notably, single-use plastic products such as disposable straws, cups, and plates, and plastic bags commonly used by street vendors such as vegetable and fruit sellers, are some of the most harmful and unnecessary forms of plastic use in India. These plastic products cannot be recycled; they are largely trashed and dumped in landfills, and sooner or later find their way into the increasingly polluted ocean. The extent of the worldwide damage caused by excessive and unnecessary plastic use is exemplified by the “Great Pacific garbage patch” or the “Pacific trash vortex” — a scattered collection of marine debris located between California and Hawaii, now believed to be three times the size of France, containing 79,000 tons of plastic in the form of 1.8 trillion plastic pieces.Particularly threatening is the alarming quantity of microplastics in the ocean, which severely disrupt the marine ecosystem, including inhibiting the ability of several species to reproduce. The World Economic Forum estimates that by 2050, oceans will contain more plastics than fish by the pound, if we continue to produce, utilise and improperly dispose of plastic at predicted rates calculated on the basis of current statistics. I have also been a witness to this rapid deterioration of our water bodies. When I first visited the beaches in Tulum, Mexico, they were stunning expanses of pristine water and sand. Four years later, in 2014, those same beaches were swimming in plastic.